The Best Video Camera App for iOS, @FilMicPro, just got a whole lot better. Ive literally just downloaded the latest update to FilMicPro and Im blown away by the latest features. Another cool feature is FilMic Remote, I had access to an early beta release of this and with the exception of some latency issues I was really impressed. 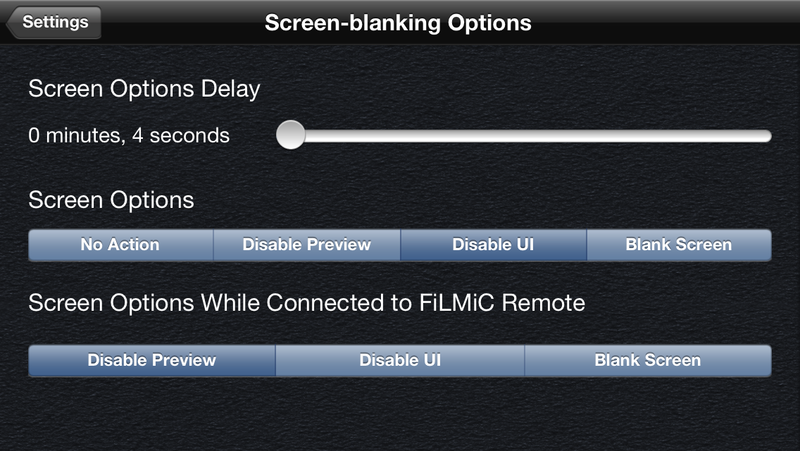 In short it allows one iPhone or iPad running the FilMic Remote App to take control of another App that has the webserver enabled in the FilMic Settings. I need to check again but the plan was it could work over bluetooth, WiFi and 3G which is pretty awesome. So in theory you could have an iPhone plugged into a power supply and in standby mode and the remote App could wake it, set it to record and (though this may not be active yet) send the recording to the remote. Im going to test this in the coming days and report back. Let me explain what this means: FILMICPRO has just become the first camera App (to the best of my knowledge) that can send a completely clean HDMI live output from the iPhone. I can now connect it to a recorder like the ATMOS NINJA and record a clean output, I could connect it to a streaming device like the LIVESTREAM BROADCASTER- but why would I when I can stream directly from the App?! The built in chroma key is a great addition, Ill shoot a test on a green screen background and see how it performs. 2 Responses to The Best Video Camera App for iOS, @FilMicPro, just got a whole lot better. What headphone volume level setting do you use on the iphone for realtime audio monitoring with filmic pro? So two tips: to get correct exposure set iPhone brightness to 50-60% use the same for approx level for headphone volume when monitoring audio. My experience has also been that 50% -60% audio level in FilMicPro on the meter (barely into yellow) gives good results.